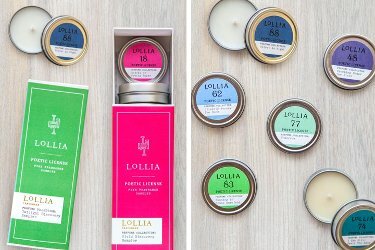 More candle samplers, this time from Lollia. The Sampler Duo includes 6 fragrances from the Poetic License Collection (Stacks of Pretty Paper, Score from the End Credits, Another Quiet Day In the Morning Light, Butterflies and Summer of 1982) and 6 fragrances from the Twilight Collection (Sleeping Under the Stars, Silently Across the Snow, I Can Still Smell the Rain, Running in Grass Barefoot, Velvet As Night and Tomorrow) for $30, or you can buy them separately for $15 each. $5.99 for shipping when for $5.99 I can pick up a little sweet-scented doodad that I can slip in a friend's purse when she's having a bad day! 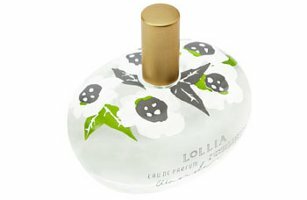 Anyhow, the creme was a big hit, and the packaging absolutely delightful, so I decided to explore their other products.